In October 1935 the Italian army invaded Abyssinia. In the same month the Abyssinians appealed to the League of Nations for help. The League condemned the attack. All League members were ordered to impose economic sanctions on Mussolini’s Italy. Then all resolve faltered. The League’s involvement was a total failure.The capital, Addis Ababa, fell in May 1936 and Haile Selassie was replaced by the king of Italy. Somaliland, Eritrea and Abyssinia became Italian East Africa. The League of Nations was a corpse even before it perished. It had no more legitimacy. The Crimea crisis and events in Ukraine today pose a similar threat to the credibility of other European organisations … created, like the League, in the wake of a devastating war with high hopes of launching a new era. And one organisation already in the crosshair of the dictator’s assault, already reeling, which Russia was able to join under false pretext and then proceeded to capture with the support of other autocrats in the East and accomplices from the West is the Council of Europe. Until a few weeks ago one could fear that the Azerbaijani presidency of the Council of Europe, set to begin a few weeks from now in Strasbourg, would mark the low-point in the history of this once proud organisation. And one might have hoped that, perhaps, it was still possible that the sight of a dictator at the helm of this club of democracies might produce a long overdue shock; wake up democrats across Europe, to pay attention to an institution once created to embody the values of post-war Europe (stated in the European Convention on Human Rights) and recently captured by autocrats from Europe’s east. Until a few weeks ago I thought there was time to rescue these institutions. Certainly, that it was worth it Today there is good cause to wonder whether the Abyssinia moment has not now also come for Strasbourg. Unless the Council of Europe reacts to the dramatic illegal occupation of one member state by another member state; unless PACE – the Parliamentary Assembly – issues a strong and unequivocal declaration; unless member states in the Committee of Ministers now take effective actions against Russia; it is hard to see how this “spiritual union” of European democracies can survive as more than a bureaucratic corpse. The same is not true for the Council of Europe. Between the OSCE and the EU it has no future if it does not credibly defend the highest values of democracy. The demise of its credibility creates a void that also needs to be filled: most probably by the European Union, now called upon to define its own human rights acquis more explicitly. The EU should make human rights central to its association agreements. It should spell out its “political criteria” much clearer, both for accession candidates and for its own members. It should find ways to cooperate with other genuine democracies, from Switzerland to Norway to Moldova in the East. Of course it would be preferable to preserve the Council of Europe and see dictators such as Putin and Aliyev censured instead, until their countries change their ways. But this looks increasingly unlikely. Instead we will have an Azerbaijani presidency and not even symbolic sanctions against Russia after its aggression. It is hard to see is how the Council of Europe can function much longer as a hostage of dictatorial and aggressive members. They pay an important share of its budget. They are bent on destroying the values it once stood for. And for some time now they have imposed their vision of the world with impunity. It should also be noted that there would still be a lot worth rescuing from the burning house of the Palace of Europe, the Council of Europe’s headquarter in Strasbourg. Conventions, agreements, commissions, initiatives (such as the Venice Commission), all serving their members , all worthy of being preserved … but outside of the clutch of dictators. (The same is less obvious in the case of PACE, which appears increasingly superfluous next to the European Parliament on the one hand and the OSCE Parliamentary Assembly on the other). The thread does not stop here, unfortunately. Other proud institutions might soon face a similar challenge: one is the OSCE’s Office of Democratic Institutions and Human Rights in Warsaw. It has so far stood up, valiantly, to pressure from the East over its professional work on election monitoring. Why would Putin or Aliyev want credible election observation any more than rulers in Tashkent or Minsk? It is fighting tough battles over its budget. It soon faces a crucial choice over its future leadership. ODIHR’s independence and professionalism must be defended at all costs. In fact, should ODIHR be at risk of losing its credibility as a result of an ongoing Russian and Azerbaijani campaign, or should it be paralysed – then the EU and democracies like Switzerland should stand ready to fund it directly. To rescue valuable experience. To preserve it as the preeminent European election monitoring organisation, open to other European democracies. It now seems only a matter of months before post-Maidan Europe will see a broader debate on the institutional architecture needed to preserve core values and safeguard the lessons from the 1930s and 40s. And we had better prepare for it. For it now seems increasingly likely that Russian troops in Crimea and Ukraine might have a similar effect on European institutions as Mussolini’s troops had when they embarked on their aggression in East Africa many decades ago. The man emerging from the metro in Saint Germain-en-Laye on this cold Sunday afternoon in February is ebullient, unbowed and confident about the future of his country. This is remarkable, for my visitor is the political activist and writer Emin Milli, who had just emerged (again) from prison; the country in question is Azerbaijan. Our paths first crossed when ESI worked on and then published in March 2011 a report about him, his friend Adnan and other members of Generation Facebook in Baku. The report described the emergence of a new generation of dissidents in Azerbaijan, and the strategy of repression used by the regime. Since Generation Facebook we have been in touch regularly. In January this year we met in Budapest during a seminar discussing the future of election observation missions in Europe. We then spent a day in Rumeli Hisari in Istanbul, discussing how the Council of Europe might help set free political prisoners across Europe. For Emin this is also a personal issue. He had spent 16 months in jail in 2009 and 2010. Our discussion was in the shadow of a forthcoming vote we were both watching carefully. Emin Milli in Rumeli Hisari, Istanbul, January 2013. A few days later he will again be arrested after peacefully demonstrating against police violence. A few days later a resolution on political prisoners in Azerbaijan was rejected by a clear majority in the Parliamentary Assembly of the Council of Europe (PACE). This was a historic debate – the best attended ever! – which saw remarkable and outrageous statements from European parliamentarians attacking the rapporteur and his work and defending the regime of Ilham Aliyev. What is the hydra in Azerbaijan today? It is the authoritarian and oligarchic regime of president Ilham Aliyev. Is there an Angel? It must be the hope of a peaceful transition to democracy. The key for any breakthrough is for new and traditional opposition groups to come together around a common platform, program of change and a common candidate in upcoming presidential elections. “There are of course the old opposition parties like Musavat and the Popular Front, but they are no longer alone. There are also now intellectuals who defected from the regime and who are popular in Azerbaijan, members of the new Intelligentsia Forum: scientists like Rufiq Aliyev, who is a candidate for a Nobel Prize, or film makers like Rustam Ibrahimbegov, who won an Oscar. They have now broken with Aliyev. There are many Western educated young people who have returned, like Harvard-educated former political prisoner Bakhtiyar Hajiyev. 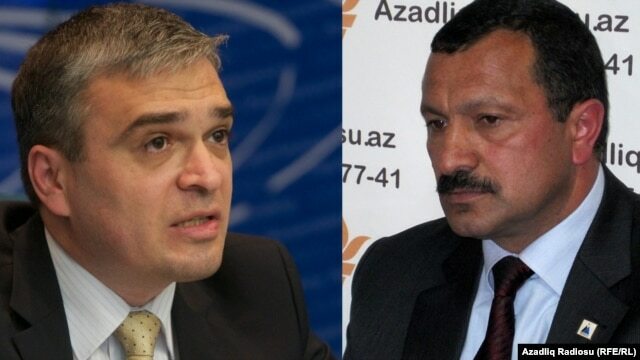 There are other opposition parties with serious programs, such as the Republican Alternative of Ilgar Mammedov or Erkin Gadirli. There are the young activists of the facebook generation. But will there be a joint platform for elections in 2013? Of course, much can go wrong and even more would have to go right for any of these optimistic scenarios to come about. There still is no united opposition. There is always the potential for further repression. 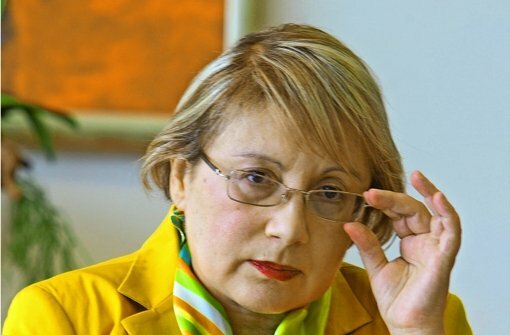 So far there have never been free and fair elections in Azerbaijan, so it is unrealistic to expect 2013 to be different. There are likely to be further arrests. Standing up for democracy and human rights in Baku is a high risk strategy still, and any rewards are highly uncertain. All of this makes it even more important what messages outside institutions are prepared to send. So I ask Emin: how does he see the role of external actors? Will they care? Will democratic Europe, will European institutions, do what they can to support a peaceful evolution, based on respect for human rights in Azerbaijan? “It addresses England as well as Spain, Italy as well as France, Germany as well as Ireland, the republics that harbour slaves as well as empires that have serfs. Social problems go beyond frontiers. Humankind’s wounds, those huge sores that litter the world, do not stop at the blue and red lines drawn on maps”. This remains as true today as it was in the 19th century. to the August 1849 Peace Congress in Pariscalling for a European federation.